Since Obama’s American Recovery & Reinvestment Act – you remember the $787 billion in emergency economic stimulus spending – didn’t work, the Obama Administration has come up with a simple solution: spend more and lie about the results. This President makes Slick Willy look like a conservative boy scout. For months the White House has been hearing criticism from across the country about problems with the $787 billion stimulus, ranging from how it has been ineffective at creating jobs to the claims for job creation going to fairy tale congressional districts or even phantom ZIP codes. 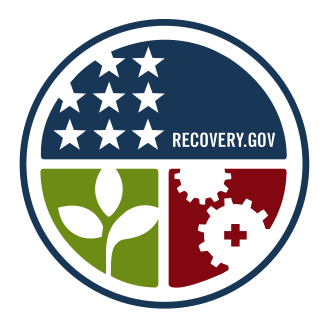 Instead of reporting on the number of jobs "saved or created," a bogus term from the very beginning, Recovery.gov will now track how many jobs have merely been funded by stimulus money, regardless of whether they were created by the stimulus or had already existed. These new changes will remove even the slightest thread of accountability from the stimulus, which was supposed to be accompanied with unprecedented transparency through the website Recovery.gov. Instead, as CNN points out, "Now we’ll never know just how many jobs were funded by the $787 billion stimulus program." The Obama administration originally promised that the stimulus would be responsible for "generating or saving three to four million new jobs" by the end of 2010, a point reiterated by the chairwoman of the President’s Council of Economic Advisers this past September. But now it’s impossible to know how many jobs have been funded by the stimulus, rendering the jobs claim yet another broken promise to American taxpayers. It’s time the Obama administration stop with the massive government solutions and start adopting common sense proposals that will create jobs, not the need for future distortions and spin.